Join us tomorrow 12/11 from 4pm-8pm at Panera in West St. Paul for DCS dines out! Please show a flyer (paper or digital) or simply mention Discovery Charter School when you check out and a portion of the sale will go back to support Discovery Charter School. Proceeds from dining night out goes to reimburse busing for field trips! It’s been a busy week at Discovery Charter School! Our enchanted forest book fair is going on until Thursday at 5pm. All money raised from the book fair will go towards much needed shelving in our expanding library! We had 2 other big events this week! Grandparents Day and our Family Fun Night. The PTA can’t do events without volunteer help and the Book Fair and Family Fun night require lots of help. Big thank you to the volunteers who helped put on these events. We couldn’t do what we do with you! I hope I’m not missing anyone but if I am please know I appreciate ALL the help!!! I try to make notes right after events for things that went well or things we could do better for next time. If you have any feedback (good or bad) please email dcspta@dcspta.com. We always like to fine tune our events! We are rescheduling our PTA meeting to 11/13 to not conflict with election day. Go vote! Spirit wear day is this Friday 11/9. Students can wear spirit wear shirts or plain blue/green shirts with uniform pants. You can order spirit wear shirts here! Orders are due Friday 11/9 and will be delivered by the December spirit wear day of 12/14. November has a lot of activity for DCS! We have a new spirit wear sale! You can order here. Orders are due 11/9. Our Scholastic book fair starts 11/26 and goes to 11/29! Students are welcome to shop for new books and profits go directly to supporting our library. DCS will celebrate Grandparents day on 11/26. Grandparents are welcome to come have some breakfast treats provided by the PTA and spend the morning and lunch with students. RSVP here by 11/14. Join us November 27th from 5:30-9 for our family fun night. We will have snacks, face-painting, book bingo, sucker pull along with our book fair. Please attend! We have some volunteer opportunities available. If you’re interested please sign up here. DCS PTA will be collecting Coca-Cola points. Drop bottle tops in with your box tops and turn them in! Here’s a look ahead at the month of November for the Discovery Charter School PTA. Anyone else having trouble this Monday after MEA?? October is National Bullying Prevention Month. To support this initiative the PTA is sponsoring an anti-bullying assembly on 10/24 which is Unity Day. The 4-7th grades will have their assembly at 9:30am and K-3 at 10:30am. Rich Wieber will be performing his bicycle stunt show! It sounds like it will be an amazing show! Check out his website here. Student are also encouraged to wear ORANGE on Wednesday to support National Bullying Prevention Month. Students can be out of uniform if they wear orange on Wednesday. Friday 10/26 is Free Dress Day. We are still looking for a little help for our conference dinners tomorrow and Wednesday. If anyone can help out please click here. You may need to search with the dcspta@dcspta.com email. Unity day is October 24th. It’s free dress day if students wear orange in support of no bullying in schools. The PTA is sponsoring an anti-bullying assembly. It looks like an amazing show. Grades 4-7 will have an assembly at 9:30am and grades K-3 at 10:30am. October 26th is free dress day! Students are allowed to be out of uniform on that day! Art Academy starts October 31st. You can fill out the sign up for here Art Academy sign up. Our Yankee Candle fundraiser is coming to an end tomorrow 10/9. Thanks to all that sold products or raised donations we truly appreciate the support. Couple of reminders Keep the back pink copy to you can deliver your items. Keep a catalog in case you need to reference the ordered product. Write the students and teachers name on the envelope. Clearly mark direct donations with a post it or envelope. Count money/checks to match order form. The top 10 sellers who will win the pizza party and limo ride will be announced Friday. DCS Dines out tomorrow at Qdoba! Please join us from 4-8pm at Qdoba in WSP and a portion of all sales will benefit DCS PTA. Money raised from our monthly dining nights goes to field trip busing reimbursement. Spirit wear day is Friday October 12th. Students are allowed to wear spirit wear, plain navy or green shirts with uniform bottoms. Help wanted. 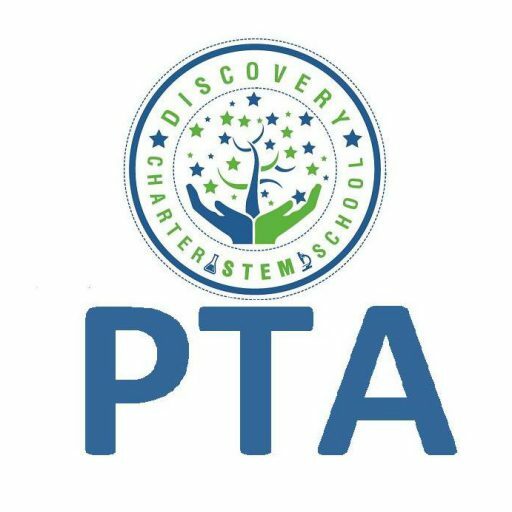 The PTA needs help with some events coming up. Dinner for teachers during conferences, the book fair, and a family fun night. You can sign up here. Thank you all for reading! Enjoy the week despite all the rain!!! Welcome to October! We made it through the first month of school. Lots of fun things coming up for October! Tuesday October 2nd is out PTA meeting at 6:30pm at the school. We do have someone to keep an eye on the younger kids so you’re welcome to bring them! Our Yankee Candle fundraiser is going on right now. Packets should be turned in October 9th. If your student is not interested in selling anything we also accept direct donations and those donations will be counted towards to limo ride/pizza party incentive. Friday October 5th is World Teacher Day. Take a moment to thank a teacher that day. Tuesday October 9th is our DCS dines out at Qdoba in West St. Paul! We hope you join us they have really good chips and queso!! October 16th and 17th are conference days. The PTA puts together a pot luck to feed teachers dinner on those 2 nights since they end up working 12+ hours those 2 days. I’ll be posting a sign up on Wednesday if you would like to help out. Friday October 5th is World Teacher Day! Please take a moment to thank any of the staff at Discovery Charter School! It can be as simple as a note, a needed supply for the classroom or volunteer in your child’s classroom! Many teachers have filled in needed supplies and we keep a list here. Below is a thank you that a child can color and write a special note. Thanks again to everyone who participated in our first DCS Dining night at Dairy Queen. We raised $230 which is $80 more than our 2016 Dairy Queen night. Our next DCS Dining night is October 9th at Qdoba in West St. Paul. No flyer is needed just dine at Qdoba between 4 and 8pm. Our Yankee Candle fundraiser is underway. This is a big fundraiser that goes to pay for our family fun nights, assemblies, STEM night etc. This year we are also allowing families who do NOT want to sell to do a direct donation. Simply return the donation in the yankee candle envelope. These direct donations will count towards the incentive prize. The incentive prize is a LIMO ride during school with a pizza buffet lunch at Old World. The top 10 students that raise the most money will win. Sales go until October 9th. Our next PTA meeting is 10/2 at 6:30pm. We had an amazing turnout for our first meeting and I’m hoping for an even better turnout at our second. Remember to keep clipping those box tops and Tyson UPCs. We are also accepting dimes for those families that would like to participate but do not buy box top products. There are 3 monthly winners who will win a small prize. The top 3 classes that collect the most by the end of May will win an ice cream party sponsored by Peterson’s Popcorn. There is a school board meeting Thursday at 6pm. These meeting can be very informational for parents so please try to attend.